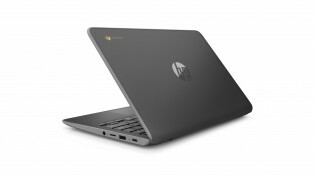 HP has unveiled two Chromebooks for the education market, both of which have undergone MIL-STD-810G testing and feature a spill-resistant keyboard to make sure they can handle the reality of being in the hands of schoolchildren. 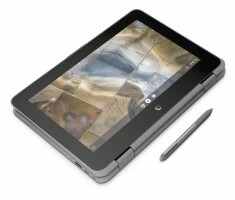 The HP Chromebook x360 11 G2 Education Edition features an 11” IPS touchscreen (1,366 x 768px). You can rotate that screen 360° to use it in tablet mode, a Wacom EMR pen is supported. 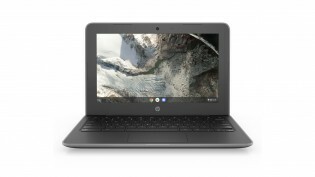 The Chromebook is powered by either a dual-core Celeron N4000 or quad-core N4100 with 8GB of RAM and 32/64GB of storage. The battery promises up to 11.5 hours of power autonomy and the whole setup is fairly portable, weighing just 1.47kg (3.24lbs). 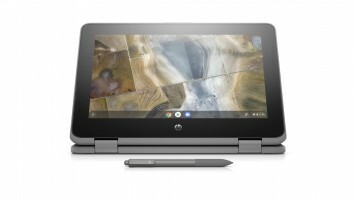 The HP Chromebook 11 G7 EE is essentially the same device, except its 11” screen only rotates 180° and is available in non-touch versions – IPS and SVA (a Samsung VA panel). Note that the non-touch versions have better battery life, up to 13 hours. Both Chromebooks sport two USB-C pots (Gen 1, 5Gbps), one USB-A and a 3.5mm headphone jack, plus an SD slot.